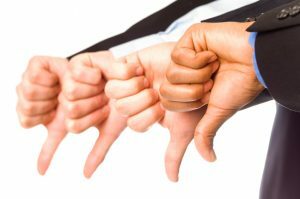 Home » How Should You Deal With Negative Customer Reviews? Negative customer reviews needn’t be bad for business. By dealing with them in the right way, you can protect your company’s reputation. In fact, you may even be able to use negative customer reviews to your advantage. Here are just a few tips for dealing with bad customer reviews appropriately. Reviews aren’t just useful for other consumers, they can also be an important source of feedback for you company. It’s important that you take note of any recurring negative points such as ‘slow service’ or ‘high prices’ – these could be an indicator that you need to make improvements to these areas. Once you’ve ironed out these problems, you could find that people start leaving positive reviews that come to your defense. The likes of Trip Advisor allow you to post replies to customer reviews. This is a chance to publicly apologize and make amends. One way of making amends could be to offer a discount if they return – this can often encourage them to give you another chance and possibly win them back as a regular customer. Being sincerely apologetic can also look good on your public image by showing that you do care about your customer’s experience. If it’s a review on your website, you can most likely easily remove it yourself. If it’s on a site such as Trip Advisor or Trust Pilot, you may have to directly approach the site’s moderators or the reviewers themselves – which can be a lot trickier. Review site moderators may only be willing to delete reviews if they’re clearly an act of trolling or reputation sabotage, or if they use offensive language. As for contacting reviewers directly, this can sometimes come across a little desperate if you’re not careful with your wording. 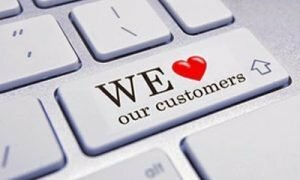 It could be worth hiring a reputation management company to help you remove negative reviews – the best reputation management companies are able to negotiate removal of negative reviews in a swift and professional fashion. You should take caution when removing reviews as people may start to take notice if you’re constantly deleting all traces of negative feedback and they may then start to see this censorship as a sign of dishonesty (for reason, it can be worth keeping one or two negative reviews). Rather than deleting reviews, you could simply aim to drown them out by encouraging more positive reviews. You can do this by asking every happy customer you work with to leave feedback. You could even approach past customers and urge them to leave a review. Try to avoid posting fake positive reviews as consumers will often be able to tell these apart from real ones.